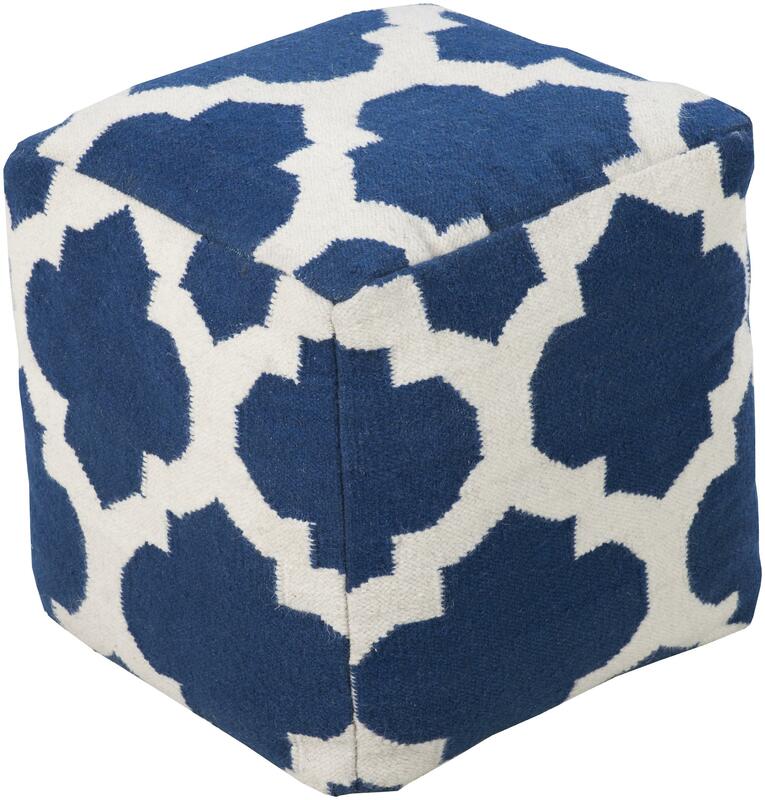 This square pouf has a distinctive and stylish pattern that is soon to be a conversation piece. Made in India with one hundred percent wool, this pouf is durable and priced right. With a fun and fresh pattern, these poufs make a simple, yet sophisticated statement in any room. The Poufs 18" x 18" x 18" Pouf by Surya at Miskelly Furniture in the Jackson, Pearl, Madison, Ridgeland, Flowood Mississippi area. Product availability may vary. Contact us for the most current availability on this product. Accessorize your living room with the perfect pouf accent from this wide assortment. Pouf ottomans are an easy and fun way to liven up a room and show your design personality. They make great footrests and extra seating when hosting large groups of people. With a large array of colors, patterns, materials, and styles, you are sure to find the perfect pouf for your home! The Poufs collection is a great option if you are looking for Accents in the Jackson, Pearl, Madison, Ridgeland, Flowood Mississippi area. Browse other items in the Poufs collection from Miskelly Furniture in the Jackson, Pearl, Madison, Ridgeland, Flowood Mississippi area.